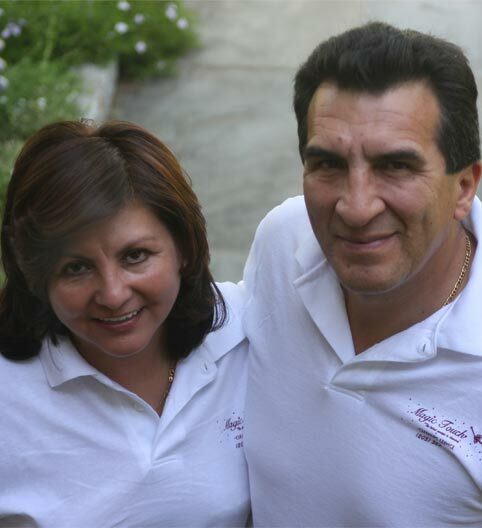 Established in 1996 by Jose and Maria Aleman, Magic Touch has since provided lower Fairfield County with a first class residential and commercial cleaning service. We understand the peace of mind in returning to a professionally cleaned home, which is why our staff ensures every home is thoroughly cleaned and sanitized to your satisfaction. Our employees are carefully screened and trained to provide the highest level of service. Over the years we have refined our “Team Cleaning Approach” which allows us to efficiently and thoroughly clean you home. Aside from our staff’s cleaning ability, we pride ourselves on how courteous, friendly, and trustworthy our employees are. Your trust and satisfaction are our top priorities. This is why Magic Touch is fully insured and backs all services with a 100% Satisfaction Guarantee. If you are unhappy with your cleaning, call us within 24 hours and we’ll gladly re-clean the area at no cost.